Life after Blue Note, Impulse and Prestige – and before CD: “MASTER BY- VAN GELDER”. The continuing LJC mission to track down the affordable good stuff. Blue Note, Prestige, and Impulse in the ’50s and ’60s: Rudy Van Gelder made clean, crisp, and meticulously well-balanced recordings from his home studio in Hackensack and later in Englewood Cliffs, New Jersey. Legacy ’60s recordings by Van Gelder continued to appear well into the ’70s through United Artists “reissues” produced by Michael Cuscuna and Charles Laurie: recorded by RVG (but not mastered by RVG). By the ’90s Van Gelder was in demand again to effect transfers to CD of many of the great sessions he had originally recorded – the Rudy Van Gelder (RVG) Series for Blue Note CD, and more recently, Concord’s Rudy Van Gelder Remasters selections from the original Prestige catalogue. In between the two is a missing decade or two. What did Van Gelder do in the decades between the golden years of vinyl and the transition to CD? Is there a goldmine of RVG-mastered recordings on vinyl, hidden from view among the generally indifferent productions of the ’80s? Some of you may know, but it seems largely undocumented in online journalism about jazz on vinyl (a very limited field, admittedly) Van Gelder’s Wiki makes fleeting reference to CTI, and some bizarre Japanese animated TV show, then moves on to his 24-bit transfers to CD. As a digression, it’s a poorly informed and pretty biased Wiki, which reads like professional jealousy from some embittered sound engineer. It badly needs to be rewritten (if anyone can rewrite it badly, its LJC). It needs rewriting by someone who actually listens to a large variety of recorded jazz on vinyl, enough to offer an informed opinion. After faint praise of Rudy, there follows a catalogue of criticism (Mingus refused to be recorded by him (Mingus fell out with just about everyone. His Atlantic recordings could have been much better ), “some critics” express “distaste for the thin and recessed sound of the instruments” (Eh!? “Thin” “recessed”??) especially piano (Is that what Horace Silver and Andrew Hill said?) Alfred Lion supposedly criticised… overuse of reverb (so why did he use him all the time?). Duh. I’ve seen similar negativity from some “customer reviews” of RVG on Amazon, perhaps received wisdom. That’s the trouble with the internet, things get repeated and then taken as authoritative, because they have been read on the internet. The only authority in such matters is your own ears. Richard Cook, quoted regarding piano, has encyclopaedic knowledge of jazz, but cites everything on CD, and I have never come across one word from him regarding vinyl/audio matters, to him it simply doesn’t exist. 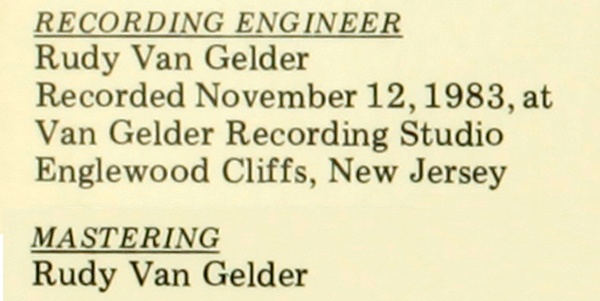 As a seasoned listener, Van Gelder recordings shine out like a light in the darkness, not the only good engineer by any means, but one of only a handful of recording engineers of this quality, along with Roy DuNann, Fred Plaut, Tom Dowd, Val Valentin, and others less known. Van Gelder, engineer of impeccable taste and feeling for jazz, remained active in the years before the dark age of The Evil (but admittedly convenient) Silver Disc ™, recording and mastering jazz on vinyl . There is a hoard of good stuff, though not easy to identify as record sellers are not always aware of the significance of what is written in the run-out. Recently having regard to some ’80s vinyl pressings – Mosaic, Savoy and Uptown – I stumbled on a curious form of the Van Gelder stamp. Not the familiar ’60s Blue Note stamp RVG or VAN GELDER, but supplemented by the additional prefix: “MASTER BY- VAN GELDER”. Rudy had made himself a new stamp. I first noticed this stamp on some ’80s titles recorded at Englewood Cliffs by Van Gelder for Bob Sunenblick’s Uptown Records (superb quality audio!). I also recalled seeing a Van Gelder stamp on a few of my later ’80s OOP Mosaic box sets, not the usual EMI/Ron McMaster engineering but the man himself. A quick check confirmed the self-same MASTER BY- VAN GELDER stamp. Then a Savoy/Arista reissue of late 50’s recordings of Sahib Shihab Sextets came to hand, produced in 1980, which to my growing surprise had to the exact same MASTER BY- VAN GELDER stamp. Connect the dots, there is a pattern! Until now, I was not much aware of what RVG got up to after Blue Note. Under Liberty ownership, there were still many Van Gelder recordings but Blue Note’s artistic focus drifted towards LA as its corporate management and artistic centre, a trend maintained by United Artists, deploying their own house engineers in mastering new releases and reissues from their Blue Note back-catalogue. Following Coltrane’s final departure, and Bob Thiele’s move, Impulse artists and executives had their own preferred studios, side-lining Englewood Cliffs and taking Van Gelder out of the recording and mastering role. Even the line of legitimacy was erased from Prestige recordings, re-mastered in the ’70s by new owner Fantasy (though one or two slipped through the net with a Van Gelder stamp in the early days). I think this accounts in no small measure for the general deterioration of sound quality (with a few exceptions) throughout the ’70s and ’80s, from the previous high benchmark set by Van Gelder . Finally, the (disastrous) new technology of Direct Metal Mastering and the all- pervasive rise of digital production effectively finished off the vinyl LP off as a medium for distribution of recorded music. It took a further twenty years to discover that digital was not quite the march of progress it was thought to be, and the rebirth of vinyl as an audiophile medium, in some cases boasting a return to all-analog production technology, and source recorded material from “the original (Van Gelder) tapes”. Not to reopen the debate about modern audiophile products, but what happened in the final years of vinyl, before CD, is of interest. The interesting question is how did the 20 to 30 years of experience following the ’60s influence the character of Van Gelder’s production? Did further advances in microphone and recording technology, all the engineer’s new toys at Englewood Cliffs, enable even better sound production than in the ’60s? To know how ’60s and ’80s Van Gelder masters compare, an unusual opportunity arises, in the form of one Bob Sunenblick project for his Uptown Records label, a recording session in 1983 dedicated to the compositions of Kenny Dorham. RVG mastering and recording in the ’80s relied on the artists of the day. The original artists from the golden age had in many cases departed (what doctors refer to technically as “dead”), moved to Europe, or embarked on their second career phase as music educators. However a team of greats from the golden era was recruited to perform at Englewood Cliffs for Uptown Records, including artists of the calibre of Ron Carter, Cedar Walton and Jimmy Heath, with Van Gelder in the recording and mastering chair. Hehehe, not “out of print” here at LJC. All the Uptown album selections are tracks which I have as original editions, except for one. I don’t have Whistle Stop as an original, only Japanese, velly solly, mastered by Toshiba engineers, but that is an interesting comparison in itself. 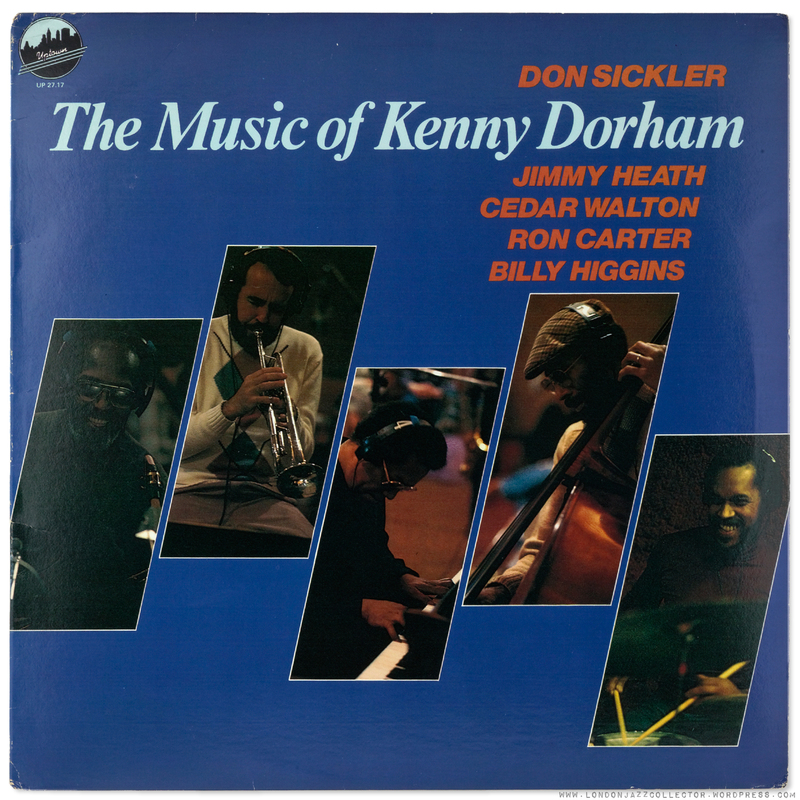 Three Blue Note stereo originals, one vintage Japanese Blue Note stereo, and the original US Stereo on Riverside, all the ’83 recordings on this album can be matched with their original ’60s comparator. So here’s the idea: each track recorded by Van Gelder at Englewood Cliffs in 1983 compared with the original Van Gelder recording of the same Dorham composition as recorded (and mastered in most cases) by Van Gelder in the early ’60s. You get the compare and contrast the quality of Van Gelder recording ’60s and ’80s, including changes in Van Gelder’s approach to stereo. You can also compare the master musicians with their surviving counterparts , Ron Carter’s take on the same title as Paul Chambers, Henderson vs Heath, Flanagan vs Walton – how cool is that? And it’s a terrific excuse to play some tracks from some of Blue Note’s finest ever albums. Page One? Trompetta Toccata? The Henderson albums which house a couple of the selected Dorham compositions were a rediscovery, should be played more often chez moi. Oh, I forgot to mention. The Sunenblick/ Don Sickler album is a real treat in itself. I hadn’t heard of Sickler before, but no matter, everyone else is known. 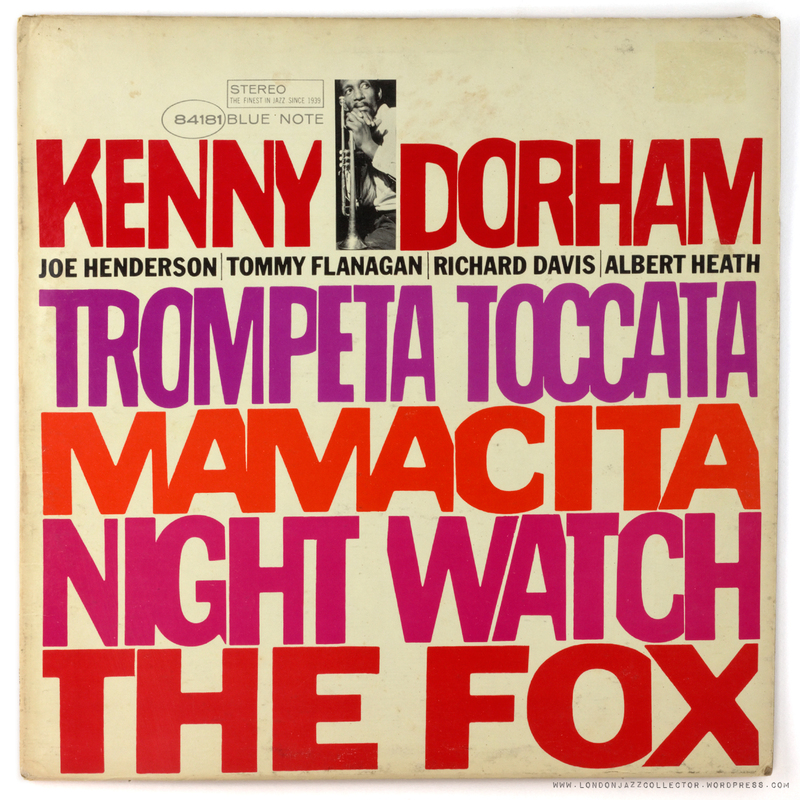 Both beauties in their own right, Henderson’s angry rasping tone can cut through walls but Heath is no slouch, Flanagan outshines Cedar Walton (hey, who can’t record piano?) but Ron Carter vs Richard Davis, what a difficult choice: Carter walking is majestic, tiptoe-ing the upper register. To my ear, the original Blue Note has a rougher urgency and fire in its belly, it drives, the Uptown session is more leisurely and relaxed, swinging, a more perfect sound-stage. Flip back and forth for an insight into visceral versus sophisticated, you call the shots. As for the Wiki snipes – too much reverb? thin piano? Have I got Van Gelder wrong? If you like CTI – what is RVGs distinctive input ? Any observations, always of interest. 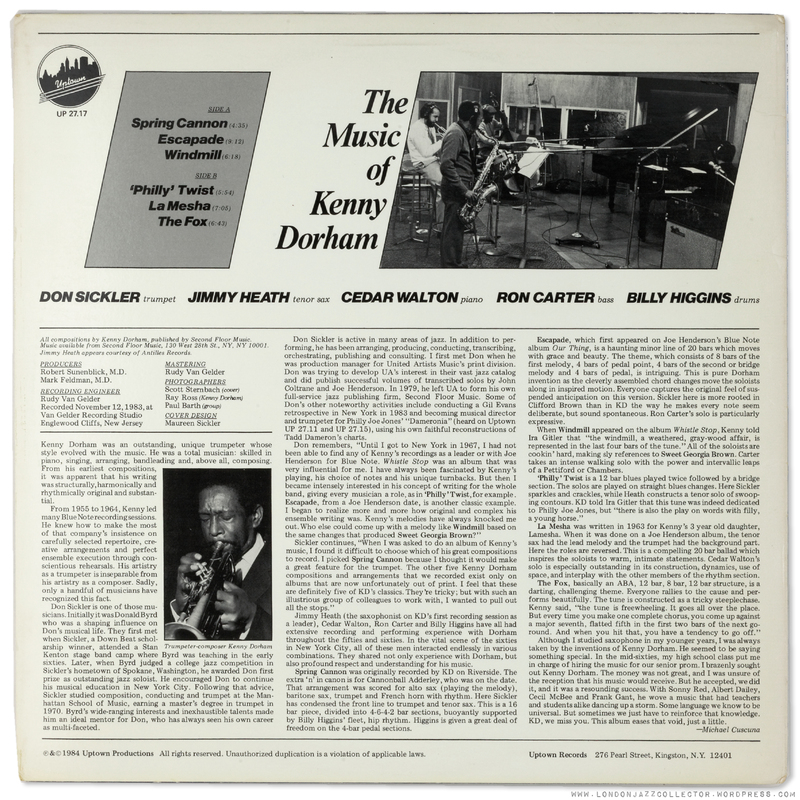 This entry was posted in Blue Note, Kenny Dorham, Uptown, Van Gelder and tagged BlueNote, Rudy Van Gelder, RVG, Sunenblick, Uptown Records by LondonJazzCollector. Bookmark the permalink. Hi, could you give some specific examples? I don’t have enough US copies to comment. I have seen many CTI titles with either Rudi’s stamp or a handwritten RVG. In fact, I have seen different pressings of the same title where one is stamped and one is handwritten RVG. Go figure! I have just bought 2 titles this weekend that have been mastered by Van Gelder. Studio Trieste on Cti. With Chet Baker, Jim Hall and Hubert Laws. Feels So Good on Kudu. Grover Washington Jr.
RVG hand written on Feels but the stamp you discuss on the Cti title. 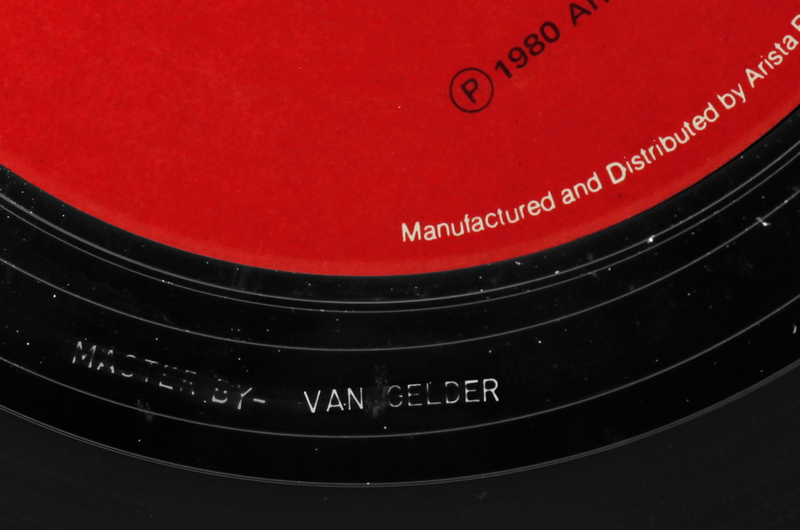 Just a note regarding the ”MASTERED BY-Van Gelder” stamp. It first popped up in the trail-outs of the 20, 1979 reissues of some CTI gems, the ones with the different covers. These we indeed remastered in1979 by him. Perhaps Rudy was trying to make clear why his name even appeared there on his projects in the first place!! Oops- The stamp is ”MASTER BY- VAN GELDER. I also found a McCoy Tyner record “Legend Of The Hour” on Columbia from 1981with this stamp. I’m probably in the wrong section (perhaps the wrong blog too.) but I recently started buying Brahms’ piano music on some first pressings of audiophile labels. The music is primarily from around 1960. I was shocked and thrilled to see Rudy Van Gelder’s name in the dead wax of some European “Vox” pressings. From what I know from musicians, apparently Rudy and Teekens had a disagreement at some point and they parted ways. There are also a few early titles in the catalog that have been deleted (despite the fact that the majority of the catalog remains in print), particularly a Greg Marvin session called Workout. Is it a coincidence that it was recorded and Van Gelder’s? I don’t know. I also know that Rudy is very fussy about his studio and equipment. He doesn’t like people to touch things and has a quick temper. I won’t mention names, but a well regarded vocalist was asked to leave the studio over a disagreement right in the middle of recording. As a result, horn overdubs had to be done elsewhere later. As for his skills and sound, there is little I find fault with. The drums on some of the CTI stuff sounds very dated, but then I think he was going by what the drummers wanted and that was the sound of the times. I don’t hear a big difference between the two recording techniques; it is still classic Van Gelder sound where the horns are the stars. Piano is still muted and bassist isn’t very present. On to the music the tribute band’s rendition of The Fox is very good, though I prefer the intensity of the original band. The tribute LP seems like an album worth seeking out, so thanks for the heads up on it. I do tend to notice a shift towards greater bandwidth as his mastering goes from the 50s to the 80s. Most of my 80s Van Gelder mastered records are ones from the Mosaic box sets and those do have more bass and treble extension than the earliest records. This is most obvious listening to the stand up bass on 50s Prestige and Blue Note records, on lower bass notes the bass will entirely disappear then return. I agree with your opening comment about Van Gelder: “clean, crisp, meticulously well-balanced recordings”–especially the part about the balance. ‘Feeling for jazz’ was another comment I agreed with. Regarding the Wikipedia article on Van Gelder and the use of the words ‘thin’ and ‘recessed’, I don’t think they are the best descriptors to critique his sound. To me, ‘thin’ suggests that the instruments occupy narrow bands of the frequency spectrum. I do think the piano sounds ‘dark’ and compressed, but I would say it actually sounds quite ‘chunky’ within its frequency band. The word ‘recessed’ implies to me that an instrument is distant in the mix, but I agree with LJC that Van Gelder had very good balance. Though he did make extreme choices, which I think is why he’s a ‘love him or hate him’ kind of figure. But I find that most people don’t flat out ‘hate’ his sound; his critics just seem really frustrated with certain facets of it. I also think he gets picked apart more than other engineers because he pretty much had the jazz recording market cornered in the ’50s and ’60s. As for the overuse of reverb, I would agree with what the Wikipedia article said if we’re talking about the period prior to 1956. Some of his recordings from that period are so drenched in spring reverb it makes it difficult for me to enjoy the music (through the ’60s the more natural reverb of the EMT plate is certainly present in his mixes but I find it quite pleasing…though I could understand someone thinking it’s still a bit much). As for the recordings presented here, I don’t hear a huge difference in the stereo techniques between the two. And besides the fact that the group is seriously cooking on the original, I found the reprise to have a bit of an overdose of reverb. For what it’s worth, I’m also pretty sure that by the ’80s Van Gelder was using multitrack recording technology and greater isolation of the players and their instruments, though to my ears nothing about the ’80s mix necessarily suggests that. Again, I praise another excellent LJC essay. I read this on my IPhone after my 20 year old son became infuriated at my suggestion that jazz and classical music is better than music made with computers that has gained so much popularity in the states. I was called a snob. The last time I was called that name was in a college French Literature course. We were discussing Ionesco’s ” Rhinoceros” when a young woman, who had just seen the first “Star Wars” movie, asserted that the movie is aesthetically and qualitatively equivalent to Ionesco’s play. In my youthful enthusiasm, I stated that with its partially incoherent screenplay masked by special effects, I didn’t even consider it a good film. That’s when she called me a snob. Perhaps I was. My son says I’m an old man who’s afraid of change. Perhaps he’s right. But I observe many people who believe a democratic society means all things, including art and criticism, are equal. A snob is someone who thinks some things are better than others, and the arch-enemy of those who claim all things are equally valid: an intellectual Darth Vader. Logically, a snob’s view of the world is as valid as that of a post-modern leveller. However it sounds more intended to be name-calling than anything more deep. Art, music, literature all demand the ability to discriminate between good and bad, and vocabulary sufficiently rich in ideas to express this. I’m with the snobs. May I suggest an essay that I have not read yet but that is the next one on my reading list : The Barbarians, by Alessandro Baricco, an Italian author. Post-modern Jazz, is it any good? Quote: “artists in their electric funk and fusion “decline”. (Cue howls of protest! )” – Indeed! Honestly, LJC, there are some really, really good albums available on both the CTI and KUDU imprint. You know I tease…but seriously, put forward your recommendations, all points of view are welcome here. When I was commenting in a critical way anout the impact of Creed Taylor on Jazz in the 1970’s last year, somebody recommended Moon Germs by Joe Farrell (with Herbie Hancock, Stanley Clarke and Jack DeJohnette). CT takes the production credit but it is recorded in RVG’s studio with RVG listed as the engineer. It is a fine album with a ’70’s sound incorporating funky electric bass and electric piano. Hard bop it is not, but it is infinitely stronger than, say, the slushy excesses of Grover Washington Jr. at his worst. I’ll be writing about it on my blog shortly- but as I seem to recall, it was one of the regulars here who tipped me off about it and I would like them to know that I have followed up on their tip. My understanding is that at that stage, recording techniques were in a state of flux, with multi-tracking and tracks being assembled on a piecemeal basis, rather than the individual takes that typified ’50’s and 60’s Jazz. Maybe RVG disliked that way of working and the new equipment? I’m sure we’ll find out in due course. Thanks Eduard. I purchased Moon Germs on your recommendation but it has taken ages to schedule for a review at downwithit.info . I’ll listen very closely to Stan(ley) Clarke’s contributions on bass. VERY interesting comparison. I expected not to like the 1983 recording, but I think it sounds great. The piano is definitely much louder and fuller in the mix, heh. A bit too much reverb, indeed. I guess RVG hadn’t yet switched to digital recording. There is an ’80s RVG recording by Jimmy Smith (I forgot the title, but it’s his Blue Note comeback) where half of the tracks are recorded digitally, the rest on analogue. They even make a big fuss about it in the liner notes, pointing out exactly which tracks are which. But the digital ones sounds godawful, at least on the original CD. WATER FROM AN ANCIENT WELL, Tiptoe Records, Oct 1985. EKAYA (Blackhawk Records 1983), but I can’t remember whether that was at RGV’s studio ore not. DESERT FLOWERS (Dec 1991), which is on Enja, but may not be on LP — I have never seen the Enja vinyl if it does exist. Given that I can find six RVG recordings of Abdullah Ibrahim — and may easily have missed some — it makes me wonder whether he recorded any other single artist as prolifically in the 80s and 90s as he did Abdullah Ibrahim…. rvg – I think he generally gets the drums in the mix just right….willing to be out-gunned! I’ve seen the RVG stamp in the deadwax of a few classical LPs released on VOX (don’t ask me which ones, I don’t remember.. although maybe one record was solo violin or cello and the other was an orchestra?). Anyway, I’m 100% certain there are MANY more RVG sessions that fly under everyone’s radar. I welcome all sightings of RVG handiwork in the missing decades. There seems to be a paucity of public knowledge of what Rudy did over a “missing” period of around fifteen to twenty years, and it’s absence is glossed over. Whilst artists and composers would get royalties over many years, I expect the engineer saw only a fee for the job done, so had to “keep working”. Maybe he just edited Japanese cartoon soundtracks, but I am sure there is more to discover. I can name one classical LP in my collection with RVG stamps – Westminster WST-14080 (Black/Red DG, RVG STEREO), Julian Olevsky with Vienna State Opera Orchestra and Julius Rudel performing Mendelssohn and Bruch Violin Concertos. This LP dates to 1959. I believe there was some affiliation between Westminster and Am-Par at the time which could account for the VanGelder mastering. I have 50’s and 60’s blue note and prestige lPs that sound as good as the new ones! I’m sure they just tried to create a new market! However anything Rudy puts his name on is top notch. i rather like both recordings very much. little difference to me. it seems van gelder knew it then and knows it ‘now’ (now = the 80’s). Criss Cross Records was a Dutch record label in the early eighties recording top artists like Warne Marsh, Jimmy Raney, Chet Baker et al. in a studio West of The Hague, in a village named Monster. I forgot to mention that the producer was Gerry Teekens. Later he travelled to N.Y. frequently to record on the spot.